As a personal trainer, winter can be a testing time for you – it can be very difficult to motivate your clients when it's grey and drizzly outside. Additionally, the grim weather can also prove a little trying on your personal training business, so how can you encourage your clients to keep up with all the hard work that they have put in during the warm, happy summer months? Here are a few ideas to keep both them and you going until the first shoots of spring arrive. One of the main reasons that it can be tough to persuade your clients to keep up their fitness program during the cold snap is the weather outside. We are lucky to live in a country that enjoys enviable weather during the majority of the year, however, there are some months that working out within a gym or fitness centre becomes a necessity. This may prove challenging for trainers that focus their programs outdoors, however ensuring the indoor program is interesting and dynamic can actually prove highly motivating for clients. According to a findings published by Suncorp Bank, some six million Australians make a New Year's resolution to become fitter annually, and this coincides with a surge in gym memberships as the year turns. During the winter months, the gym provides a warm, friendly environment for your clients to continue with their exercise plan, and could be the perfect time to introduce them to equipment that previously could not be used or transported for outdoor work programs. Though Australians automatically associate swimming with the beautiful sunshine, and taking a dip would be the last thing you'd do in the cold, cold winter. Well, that's exactly what indoor swimming pools are for! Swimming is an incredibly useful exercise, and is more of a winter activity than you may first imagine. This is because it's low impact – if your clients have been running or involved in other heavy impact training during the summer, swimming will come as a welcome relief to the muscles and joints that may be in need of a little restoration. According to the Victorian government's Better Health Channel, swimming can build endurance, add muscle strength, and aid cardiovascular fitness. It can help maintain a healthy heart and lungs, and is an exercise that can be practised for an entire lifetime. 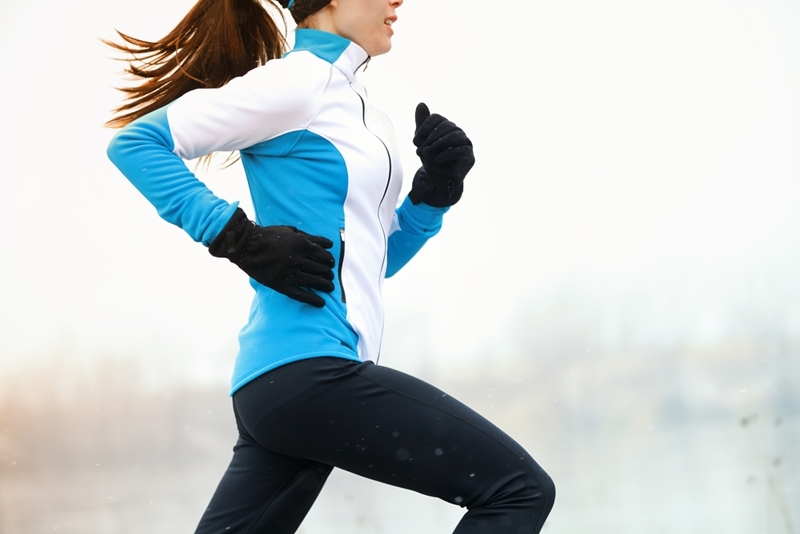 Some people enjoy exercising in the cold – others not so much! We've all felt like it. On some days, whether it's at the weekend or time for work, we've just not wanted to leave our snug, warm house into the biting wind and driving rain outside. And that's perfectly fine – your clients don't always have to leave their home to keep fit! You've probably already talked the them about the benefits of high intensity interval training (HIIT), and this is an exercise programme that can be carried out practically anywhere. HIIT can burn fat fast, build muscle and increase endurance – all within the comfort of the home. Your clients don't always have to leave their home to keep fit! All your clients will need is a comfortable exercise mat. Write down a suitable HIIT plan for your clients to follow – 20 seconds of exercising, followed by 10 seconds of rest. You can include a variety of moves such as jumping jacks, burpees, planks and squats – whatever you think will suits your clients' needs best. The bleak weather can have more of an adverse effect on us than you may initially think. We take comfort from the grim conditions outside by gorging on rich, fatty comfort foods, drink hot chocolate to keep warm, and lay snuggled on the settee in front of the television as the wind howls outside. This can cause all the hard work that we have put in during the summer months to become undone in a matter of weeks. Fitness levels will begin to wane, strength will falter, and we'll begin to pile on the pounds – three issues your clients probably signed up to counter in the first place! Additionally, the lack of natural sunlight can cause vitamin D levels to fall. Combine each of these factors, and you have a perfect storm that can lead to low self-esteem, irritability and even depression. Therefore, encouraging your clients to eat well, continue with their exercise plans and battle through the winter months will see them emerge in the springtime happier than ever – and that's good news for everyone. For more information on pursuing a career in fitness, be sure to get in touch with the team at Australian Fitness Academy today.